Brandon S. Zarsky, Esq., is an Associate in Frier Levitt’s Healthcare Practice Group. Brandon joined Frier Levitt after completing a Judicial Clerkship with the Honorable Joseph P. Quinn P.J.Cv. in Monmouth County, New Jersey. Prior to his clerkship, Brandon graduated from Seton Hall University School of Law in 2016 with a Concentration in Health Law and a Certification in Healthcare Compliance from the Law School’s Center for Health & Pharmaceutical Law & Policy. As a participant in Seton Hall Law’s Washington, D.C. Federal Healthcare Practice Program, Brandon spent his final semester of law school working full-time at the United States Food & Drug Administration (FDA). During his time at FDA, Brandon worked on issues related to drug pricing, the opioid epidemic, the Generic Drug User Fee Act, the Zika Virus, and the regulation of bioengineered food, among others. 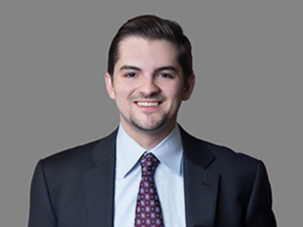 During law school, Brandon also worked in a general practice law firm, a healthcare non-profit and served as a judicial intern in the chambers of both the Honorable Paul W. Armstrong, J.S.C. and the Honorable Stephen B. Rubin, J.S.C. Brandon attended Northeastern University for his undergraduate studies where he received a Dual-Bachelor of Science Degree in Political Science and Environmental Studies. During his time at Northeastern, Brandon spent a semester working in the European Parliament as well as two Boston law firms.